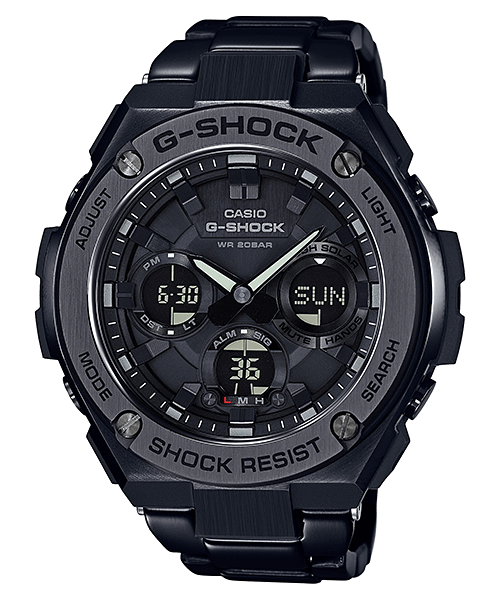 G-Shock Japan announced the G-STEEL GST-W100G-1BJF and GST-W110BD-1BJF for the Japan domestic market and now Casio has announced the G-STEEL GST-S100G-1B and GST-S110BD-1B models for the rest of Asia and presumably western markets too. These Tough Solar “S” models are essentially the same as their “W” counterparts, but without the Multi-Band 6 radio time sync feature. 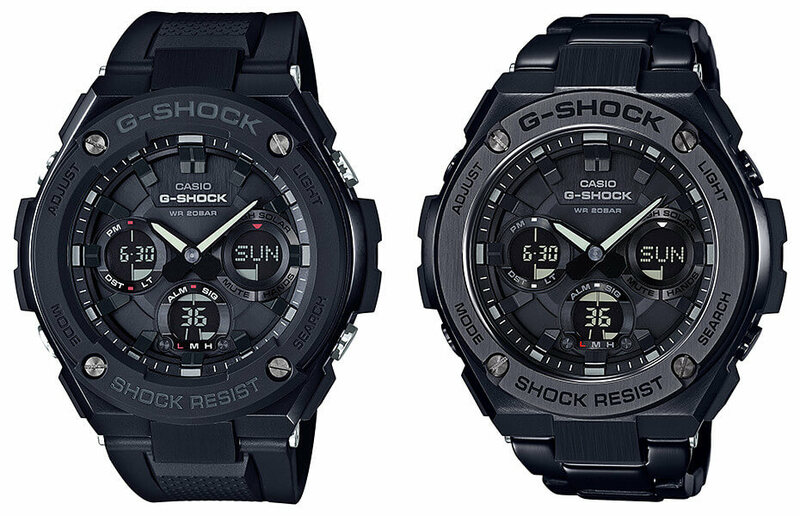 The GST-S100G-1B (left) has a black resin band and an outer resin bezel and the GST-S110BD-1B (right) has a stainless steel band with a folding clasp lock and an outer stainless steel bezel. Other common features include shock resistance, 200-meter water resistance, dual-layer bezel, neobrite luminous hands, double LED light, world time, 1/100 second stopwatch, countdown timer, and 5 daily alarms. A North American release is expected for the GSTS100G-1B and GSTS110BD-1B. Update: Casio America announced the GSTS100G-1B with a list price of $280 USD and the GSTS110BD-1B with a list price $450 USD. G-central. 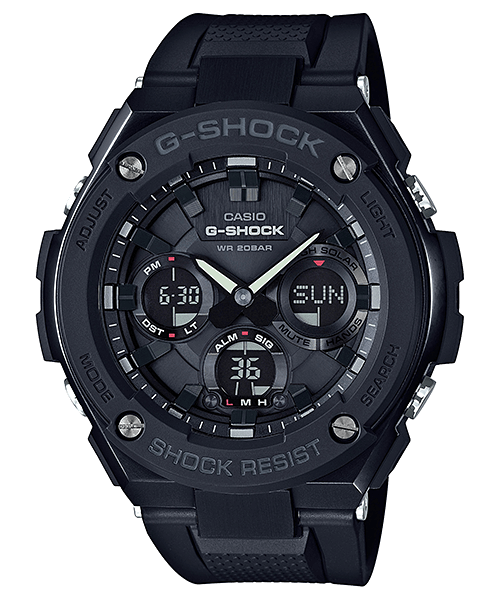 Could you please give me some advice regarding the G-SHOCK G-STEEL GST-S100G-1B, i really like thr black designed but i am worried about the face will scratch or dent if my hand hit something. Is that the glass is sapphire glass? And the face is stainless steel??? It’s likely to survive minor bumps without showing damage but if you hit something hard it’s possible it could get scratched or dented. The glass is not sapphire. Not sure about the face. Same watch, the last two letters “CR” just designates that the watch is intended for export markets outside Japan.